South Tampa Realtor, BG Holmberg offers his top tips about what homeowners need to know before building a new home. BG Holmberg, PA, a South Tampa Realtor for new construction homes and luxury real estate, has been in the industry for over twenty years. He is the #1 single agent in the South Tampa Smith & Associates office and as he specializes in new construction, Holmberg offers important tips for homeowners to consider before taking on new construction. 1) Who is a good builder? Someone who can build what you want within your budget and timeframe. Someone who listens and understands your needs and wishes, and can collaborate with you to achieve them. 3) Can you find me a nice lot? It is a much more efficient process to narrow in on a builder first who already owns land in areas one prefers, keeping in mind budget and expectations. Many builders will buy land with cash and accumulate 'land banks' for future use. The chance of finding a lot before a builder is extremely slim. 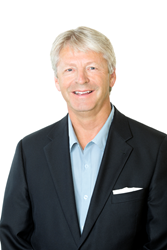 BG Holmberg is a Realtor with a mission of providing exceptional service to clients. He has 850+ closed transactions in Tampa Bay, specializing in new construction, waterfront, and resale, and providing expert market insight and transaction guidance. His keen understanding of all aspects of a real estate transaction has allowed him to bring his clients to their smartest real estate decisions with a shared goal of their ultimate happiness. For more information, call him today with any of your real estate questions and needs at 813-220-0643 or visit http://www.BGsold.com. BG Holmberg, PA’s office is located at Smith & Associates, 3801 W. Bay to Bay Blvd., Tampa, FL 33629.